Continuing our mini interview series, we stayed a little closer to home this time, and spoke to a good friend of ours – Blair Massari. You can find him on Instagram at @blairmassari. When we decided that we wanted to do a #nbgallery exhibition at Solebloc earlier this year, it was a no brainer to ask Blair if he wanted to be involved, as certainly in the UK, he holds one of the largest and most diverse collections of New Balance. 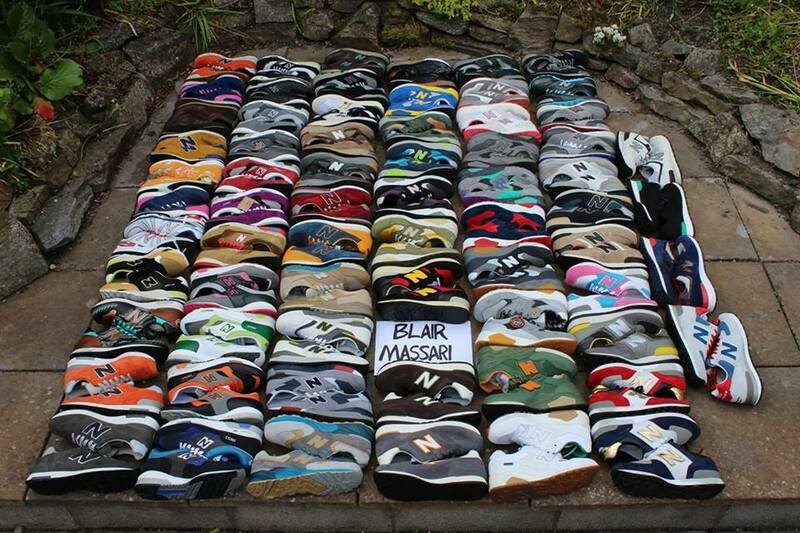 Tell us a bit about yourself and why you love collecting New Balance? Hi, I’m Blair, I’ve recently turned 40 and live in Inverness in the north of Scotland, near a place called Loch Ness, which I’m sure most people will have heard of. 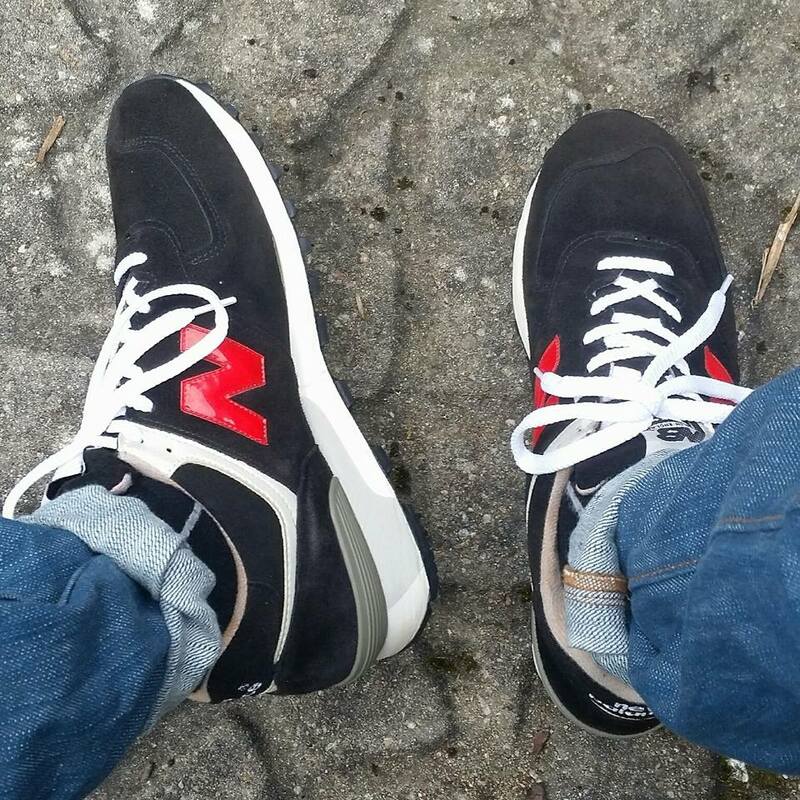 I collect New Balance because I like the shape, comfort, and choice of materials. It’s also a bonus that some of them are still produced domestically. 2. What is your favourite model and why? My favourite model changes all the time but currently I’m a fiend for the 576, and the original version 572 without the roll bar. I really like the C-Cap cushioning on these two models. 3. USA/UK/Asia, which one, and why? 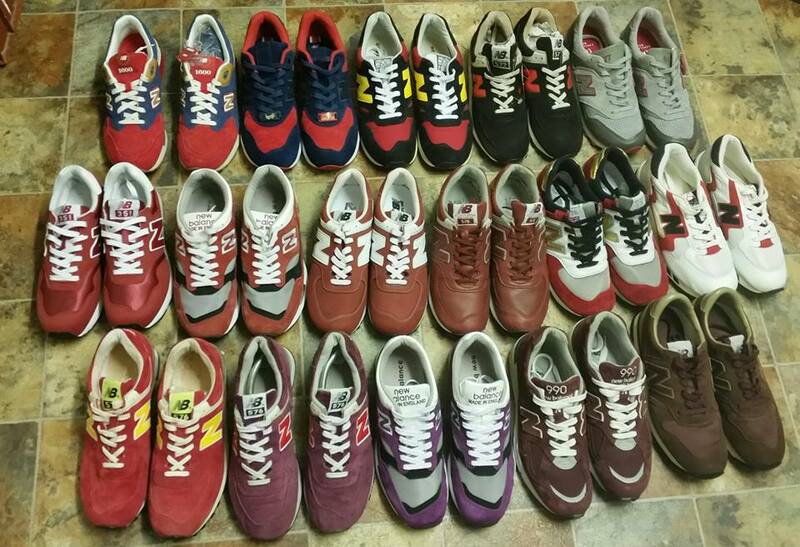 I’m a proper New Balance addict, so all three for me. Although these days I buy fewer Asian produced new models and releases. All three have produced great shoes in the last 20 years at different times. 4. 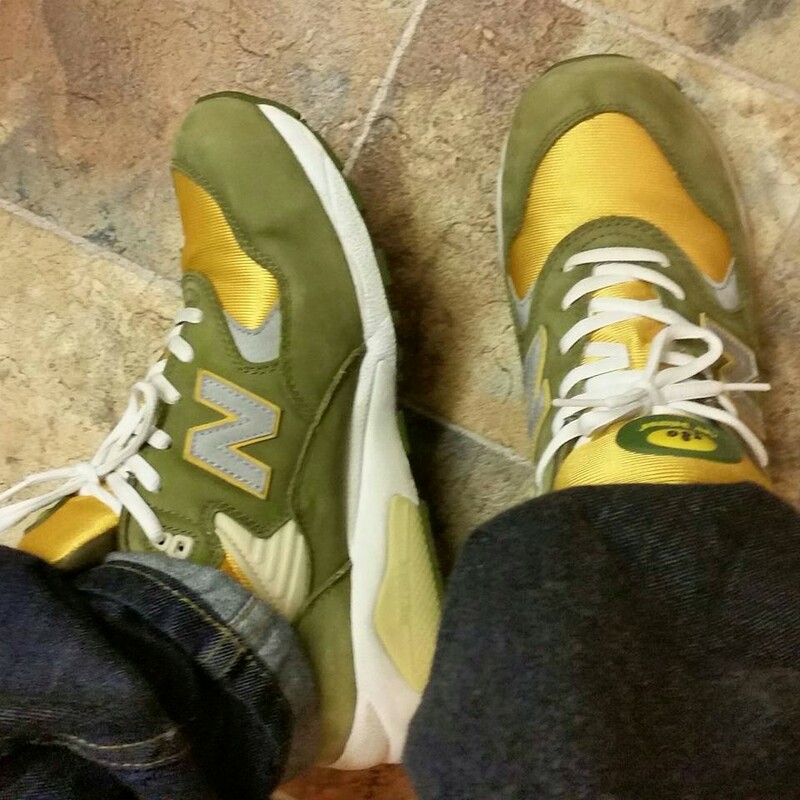 If you could have any possible New Balance collaboration, what would it be? If I could own any New Balance collaborative shoe with no expense spared, I’d plump for the red nubuck Hanon Flying Club M670 sample we recently had the privilege of seeing on display at Solebloc. However, if I had to choose and actual released pair, the Microzine Stingray 576’s, or Kitsune 576’s. 5. 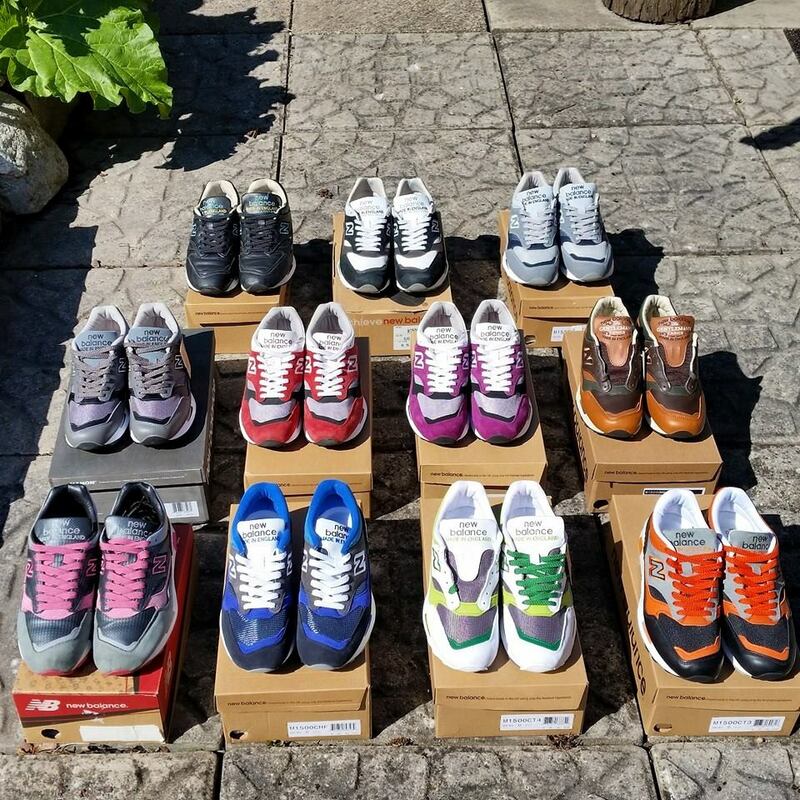 What would you like to see from New Balance in the future? I would like to see New Balance focus on improving the shape of UK models to a more true original shape with less bulky toe-boxes. A big shout out to our good friend Blair for taking the time to answer these questions for us. If you have even the slightest interest in New Balance, then be sure to drop this man a follow of on Instagram, you won’t regret it!